Stabilize and secure pallet loads quickly and easily. 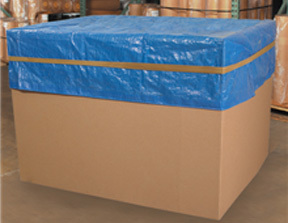 Secure Drums, tarps, sheeting and pallet covers with the right pallet band. Only one person needed to apply pallet bands. Pallet bands are ideal for moving pallet loads from location within a warehouse.